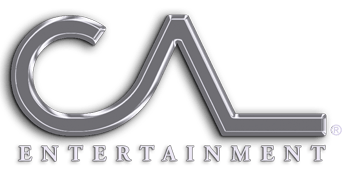 CAL Entertainment is a leading full service Speakers Bureau, a member of the International Association of Speakers Bureaus, with customers worldwide, working with top Associations, Corporations, and Organizations to help them secure only the best speakers and corporate entertainment for their events. CAL Entertainment represents and books the most relevant, talented, up-and-coming — to the most proven, most in-demand speakers in the world. These include best-selling authors, business thought leaders, CEOs, founders, sports figures, celebrity speakers, and the most inspirational, compelling speakers. In corporate entertainment, CAL Entertainment books and represents the very best bands, comedians, shows, and performers. Always ensuring that our client’s audience will be moved, inspired, and entertained. The foundation of CAL Entertainment is built from the relationships we’ve developed with our customers. We believe that through high ethical standards and quality communication, we can fulfill any customer’s need and ensure every event’s success. And each new customer relationship is a pillar that further strengthens our foundation. Working with the largest associations and corporations in the country as well as smaller organizations with more limited budgets, CAL Entertainment prides itself in making the meeting professional’s job much easier when it comes to fulfilling all of their speaker and entertainment needs. CAL Entertainment, in addition to representing all of the best professional speakers across the country, also exclusively represents a few select speakers who are strikingly different and exceptional in their field. These powerful speakers are leaders who have risen to the very top of their profession and made a lasting, positive, transforming impact on the world. Please visit our Exclusives page to learn about these special people.